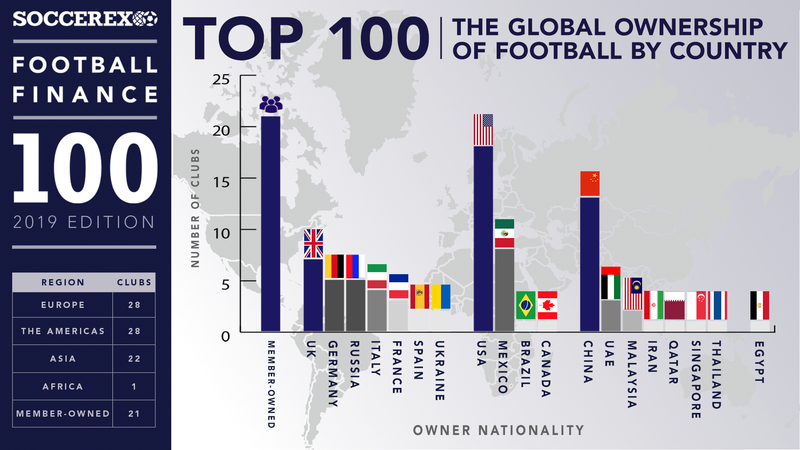 The United States and China dominate the global ownership of football according to this year’s Soccerex Football Finance 100, with the two economic powerhouses cumulatively owning more than 30% of the world’s top football clubs, more than all of Europe combined. 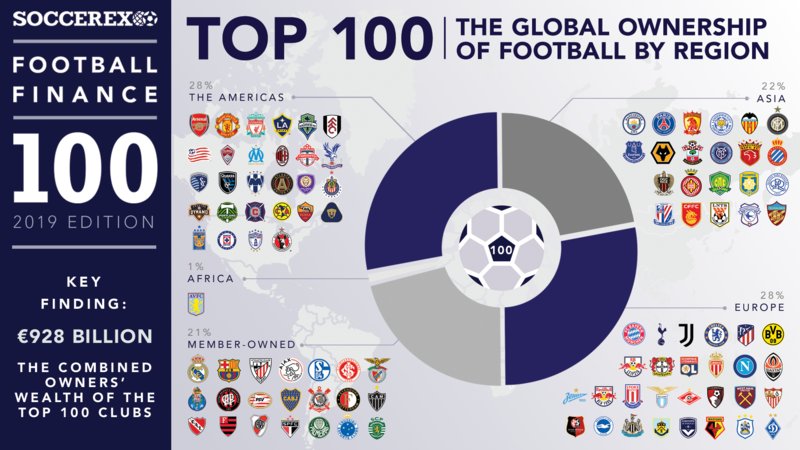 The report, by leading soccer business experts Soccerex, uses bespoke methodology to evaluate and rank the world’s top 100 clubs according to their finances and, in so doing, provides a different perspective on the global hierarchy of football. 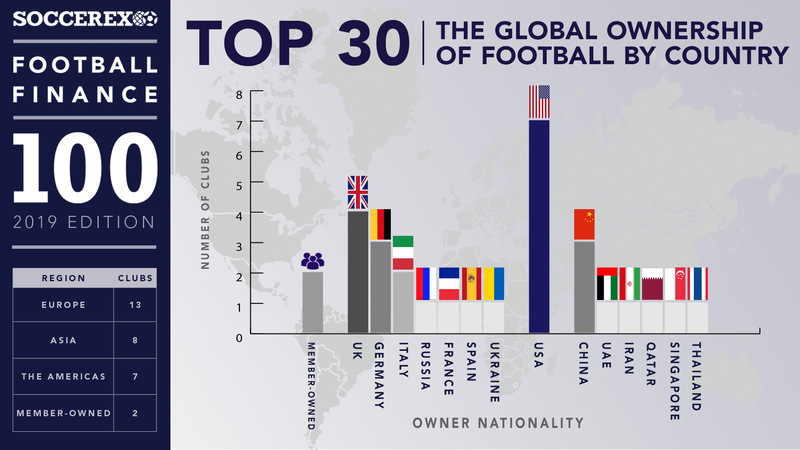 The Soccerex Football Finance 100 2019 paints a clear picture of the modern ownership of the global game with the US clear leaders as the largest single nation, accounting for 18% of top 100 and 23% of top 30. While this figure is boosted by the US ownership of most MLS franchises, US organizations own a quarter of Premier League teams along with clubs in Italy and France too. Qatari-owned PSG are second (3.84) largely due to the vast potential for investment of their sovereign ownership. 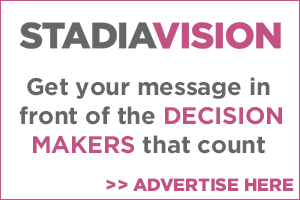 German powerhouses Bayern Munich place third in the ranking (2.67) benefitting from a good score across all the verticals measured and a strong business model underpinned by the investment of leading German organizations adidas, Allianz and Audi. While the top clubs show the impact of billionaire ownership on financial strength, the report also highlights that prudent financial management, as seen at Tottenham Hotspur and Arsenal, has its benefits. The North London sides rank 4th (2.66) and 5th (2.43) respectively, ahead of bigger global brands such as Real Madrid (2.38), Barcelona (2.05) and Manchester United (1.99). 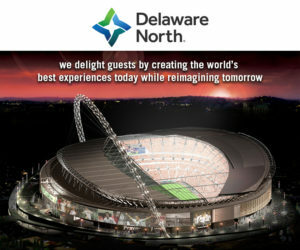 Both Arsenal and Tottenham have high-value tangible assets, benefiting from their capital locations. Spurs strength is also driven by a high squad value with player a number of players such as Harry Kane and Dele Alli whose values have appreciated significantly in the past 12 months. 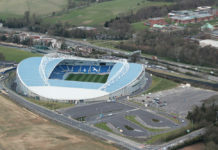 However the value of their new stadium – yet to open – must be set in context of the high levels of debt linked to project. 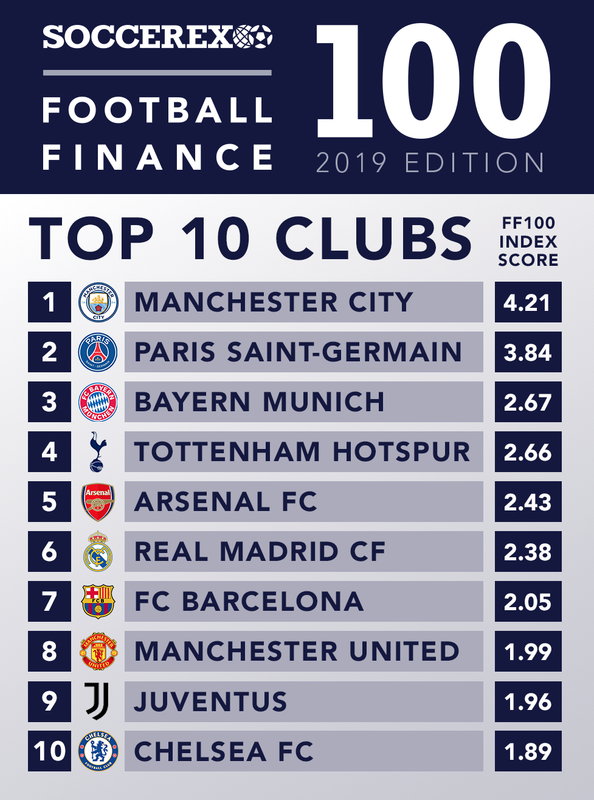 Juventus 9th (1.96) and Chelsea 10th (1.89) complete a top 10 that is full of household names and which shows a diversity of ownership structure and business model. 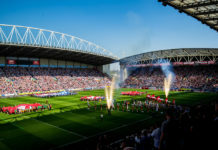 The clubs from 11-20 however are perhaps more indicative of football’s changing global picture with a line-up that features clubs old and new from six different countries, including China and the USA, the majority of whom benefit from wealthy benefactors. Chinese club Guangzhou Evergrande rank 12th (1.72) thanks to immense wealth of an ownership group which includes Evergrande Group and the digital behemoth Alibaba. Zlatan Ibrahimovic’s LA Galaxy rank 18th with high-valued tangible assets and the wealth of owners AEG. 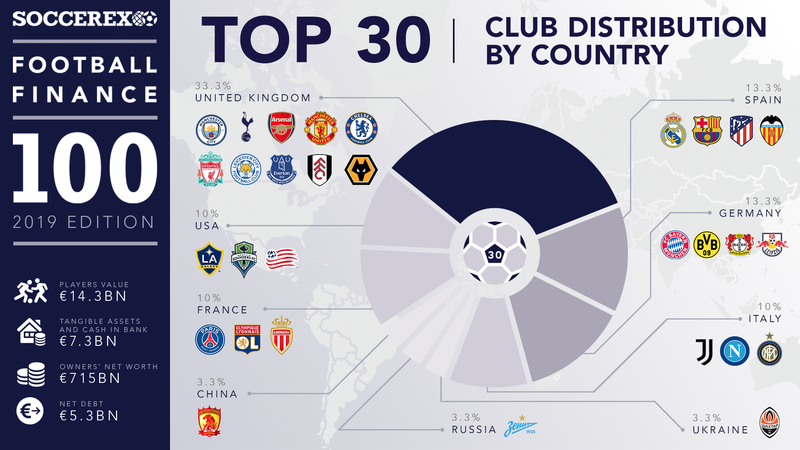 There are three US clubs in the top 30 (LA Galaxy, Seattle Sounders FC and New England Revolution) the same number as there are from France and from Italy. UK clubs continue to dominate the top 30 accounting for 1/3 of the clubs. Liverpool are 11th, Leicester City 19th, Fulham 26th, Everton 27th and Wolverhampton 28th with all benefitting from significant foreign investment. The F100 report also highlights the significant imbalance in resources that exists in most domestic leagues. 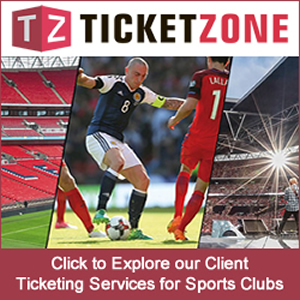 In France and China, the vast wealth of the Paris Saint-Germain and Guangzhou Evergrande owners – €269bn and €179bn respectively – dwarves that of their domestic rivals and has brought about periods of dominance for both sides. In Italy, perennial winners Juventus have cash reserves of €140m giving them a huge advantage over rivals such as AC Milan, Inter Milan, Lazio, Napoli and Roma whose cash totals combined are approximately 50% of Juventus’ total. 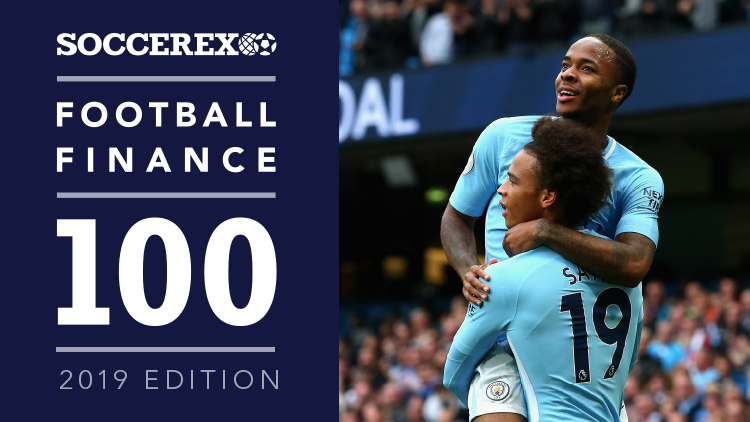 The 2019 edition of the Soccerex Football Finance 100 study has been conducted in collaboration with recognised specialists in sports financial valuations, analysing clubs’ balance sheets and annual reports from 2016/17, the last complete financial year available, plus other renowned sources of information like UEFA, Financial Times, Bloomberg, Yahoo Finance, Forbes, Transfermarkt and Hoovers.